(Win it!) Entenmann’s® Little Bites® Churro Muffins are the Perfect Dessert for Taco Tuesdays or On-the-go Snacks! Entenmann’s® Little Bites® just released a new limited-edition flavor! They are the Churro Little Bites® with the muy delicioso taste of cinnamon and sugar. In today's post, we'll tell you about this trendy new variety and why we love Churro Little Bites®. We'll also provide the opportunity for readers to enter for a chance to win a $25 digital Visa and three coupons for free Entenmann’s® Little Bites®! Let me share three reasons that we love Entenmann’s® Little Bites® in the new Churro flavor. 1. 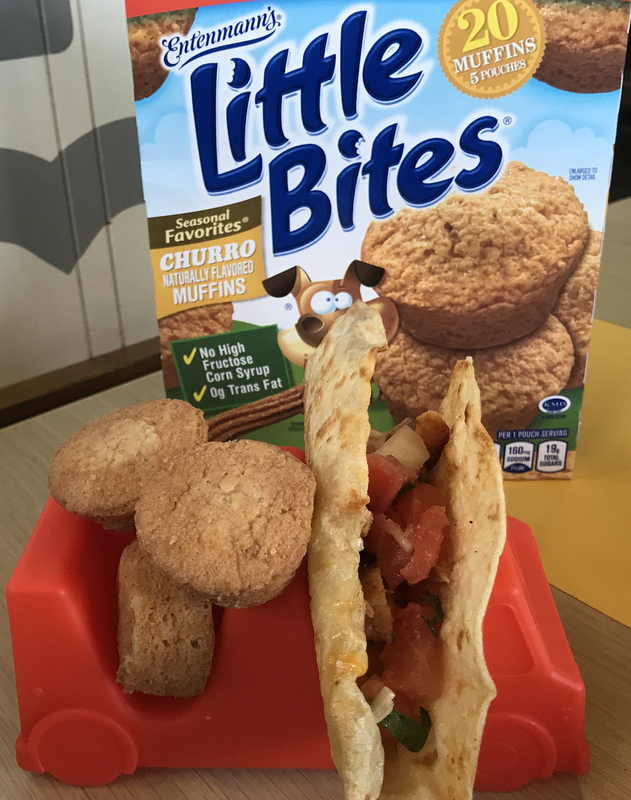 Taco Tuesday has been elevated since we have tacos + Churro Little Bites®! Throughout the state of Texas, Taco Tuesday is serious business. Tacos could be their own food group here in Texas as they are a staple for most of our families. I'm always grateful for taco nights because tacos make it easy to get my children to eat protein and veggies in one bite. 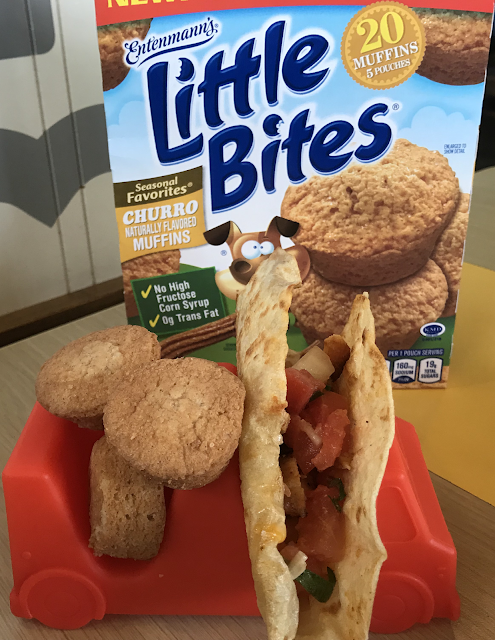 Taco Tuesday is more fun lately thanks to Entenmann’s® Little Bites® in the Churro flavor! 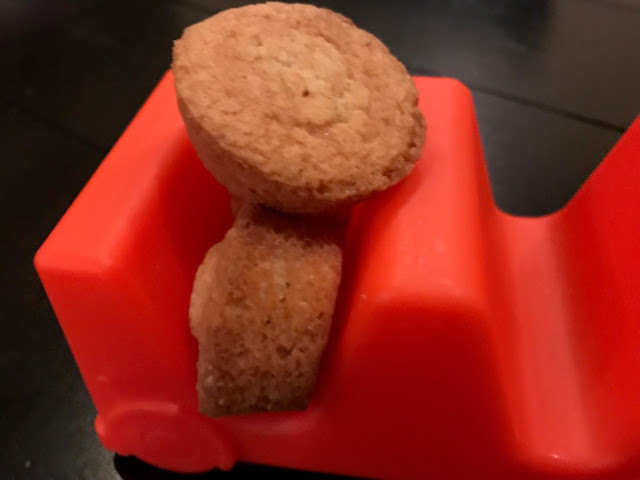 I have a taco holder for my preschooler - the front holds a taco and the back holds Entenmann’s® Little Bites® in the Churro flavor! 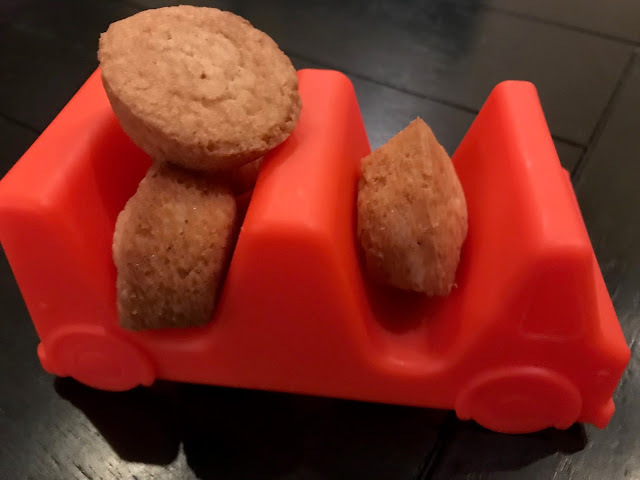 These trendy little Entenmann’s® Little Bites® taste amazing with the cinnamon and sugar flavor. The chefs definitely hit the mark when they created these churro-inspired little muffins! 3. They aren't as messy as real churros! Not only do they taste fantastic, but the convenient mini muffin form is much cleaner than real-life churros. Real-life churros are one of my least favorite desserts to give to my children because their little cinnamon and sugar covered fingers seem to touch clothing, furniture, and everything else! The churro mess factor holds me back from giving them churros very often. On the other hand, the Entenmann’s® Little Bites® are fantastic for my messy children! They do have some cinnamon and sugar on them, but it's a very reasonable amount such that my toddler doesn't end up covered in cinnamon and sugar. The chefs at Entenmann's created the perfect cross between churros and Little Bites®! In summary, you will definitely want to try the new limited edition churro flavor of Entenmann’s® Little Bites®! They are a great way to make Taco Tuesday more exciting. Plus, they are great for snacks. Each box includes 5 pouches with each pouch containing 4 little muffins. One winner will receive 3 coupons that are each for $5 off a box of Entenmann’s® Little Bites® and a $25 gift card! Please enter using the Rafflecopter below. The winner must have a U.S. shipping address. No P.O. boxes. The winner will have 72 hours to respond to our email with their shipping address. Otherwise, we will select a different winner. Good luck! 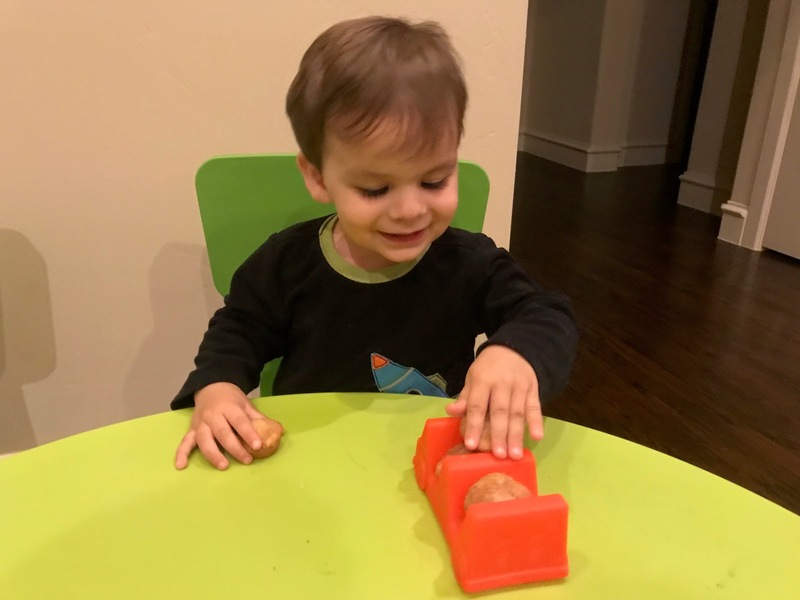 Thanks to Entenmann’s® Little Bites® for sponsoring this post and providing the prize for one lucky winner!